We will be your wedding planner Cyprus to ensure everything runs smoothly. You will want to look and feel stunning on your special day, after all this is the big day you have been dreaming of and everything has to be perfect. Zaffron's hair-dresser and make-up artist can help make that happen, they both speak English and hair and make-up trials can be arranged pre wedding giving you peace of mind. If you have a particular style in mind, please feel free to bring a picture. Hair and make-up are very important to a bride – after all this is a day that you will be photographed pretty much all day long; so it is very important that you are happy with your chosen style. Every bride wants to look stunning on her wedding day. 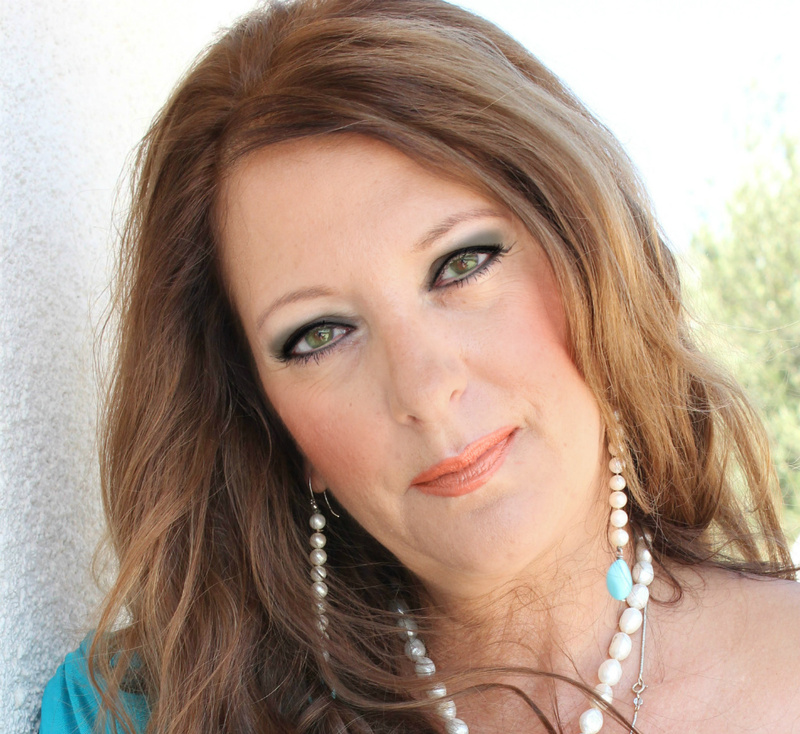 Zaffron - Wedding Planner Cyprus uses an excellent hairdresser who specializes in bridal hair and up-dos. Panos and his team are available to do not only the bride’s but bridesmaids, mothers or anyone of your guests if the wish to have their hair done especially done for your wedding day. Trials or consultations are available before hand - just to give you reassurance and to make sure you are happy with your hair. Hair trails are done in the hairdresser’s local salon at a small extra charge; however, the hairdresser will come to your Hotel and do your hair and any guest’s hair on the actual wedding day. Prices are available on application. Why not surprise him with a treat! Zaffron has an excellent beautician that will create the perfect look for each bride. 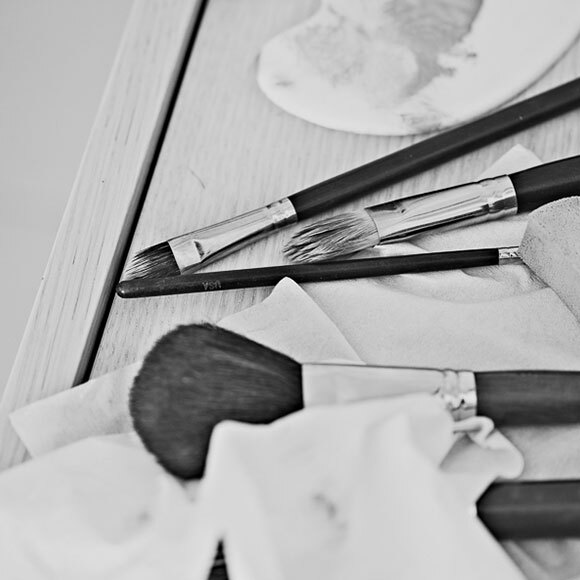 Our make-up artist uses the finest products and has make-up in colours to suit every skin tone. It is important to get a good base as the weather here is very hot so make-up will need to be durable and expertly applied. A trial or consultation is advisable before hand and there is a small extra charge for this. 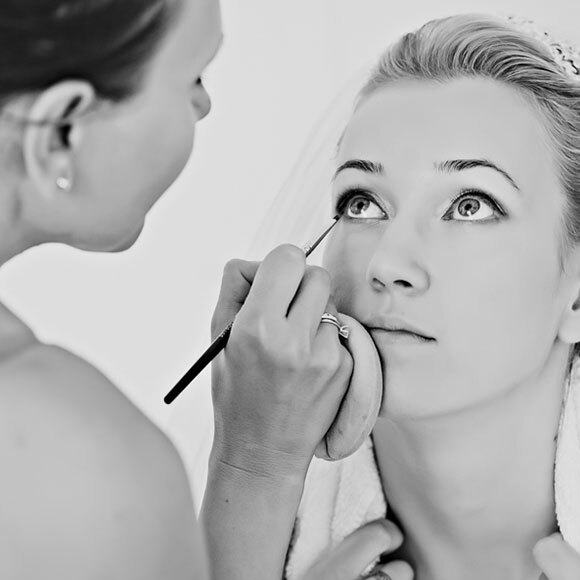 Our make-up artist will come to your hotel to do both the trail and the make-up for your wedding day. Our beautician is happy to do your bridesmaids, friends and family member is they also require their make-up done. Zaffron is happy to recommend and book your appointment at a good local Nail salon where you can go and get manicures, gels, pedicures to die for – shape and polish, French polish, nail art, designer and bridal nails at a very reasonable price. Why not make a day of it and go with your bridesmaids or friends? There are 10 girls working in the salon so you can all have your nails done together. Alternatively you may prefer to have your nails done in the luxury of your hotel room, this too can be arranged.